YES, Facebook and Twitter links do count as a backlink. NO, Social Media backlinks are not pointless. Many of todays marketers discount the power of social media links, this is wrong. 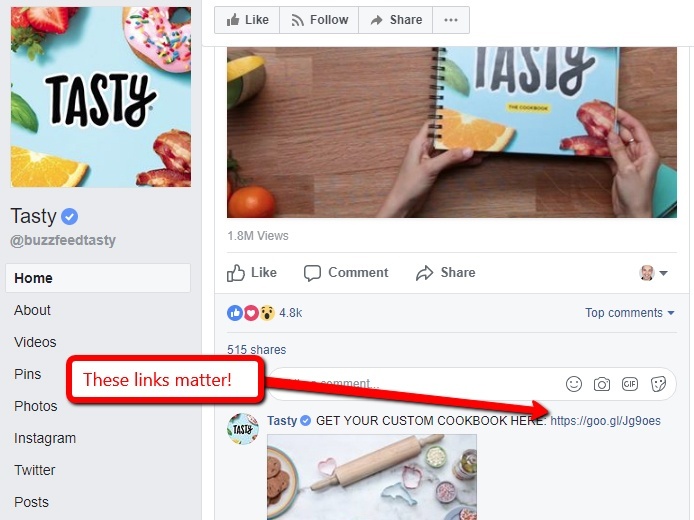 If you were to check your back-links profile in webmaster tools you will notice that links added within comments links on Facebook posts show up in your back-links profile. These may not be the best quality links as they are similar to forum comment posting a very low level/quality of link building and will most likely have a time decay factor. The truth is that social signals play a significant role in your sites ranking factors. Search engines pay alot of attention to social media signals for relevance and recency. This trend is only going to grow and get stronger over time. Ignoring social media and the links and traffic you get from it means that you are also ignoring a huge and highly relevant portion of your audience. The best way to generate these is to use the search function in Facebook, (and Twitter) for relevant posts and then comment with an authentic response and link back to a relevant page on your website for more detail. Any link that is visible in your webmaster tools counts but the quality is questionable. In short, if you can see it in webmaster tools then they are do follow links and are considered back-links.